TC66: Modern compact controller for ceramics with fully flexible firing curve. : Programme delay, linear heat up (2 ramps) to final dwell, holding, cooling. Six preset programmes fully adjustable. 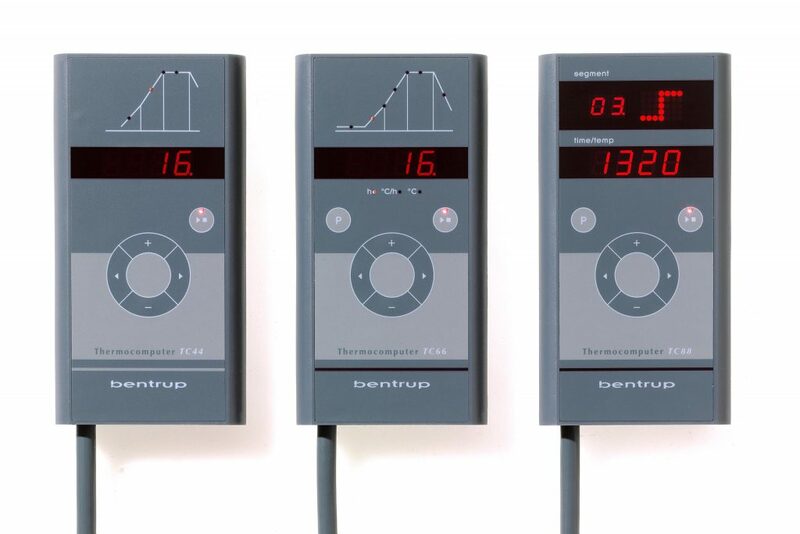 TC88: Compact programme controller for applications requiring a fully flexible temperature curve (e.g. glass fusing, D & R); multiple heating, dwelling and cooling segments. 15 programmes 8 ramps, ramp is shown grafically. Direct control features during the process.